Partygoers efforts were in vain as they worked desperately to keep an 18-year-old stabbing victim alive after a fight at a party in East Auckland. Police were called to the party in Greenhill Crescent shortly after 11pm after ambulance officers refused to go in, saying it was too dangerous. After police arrived, paramedics found the body of the 18-year-old in the street. Police were called after reports of a fight on the street, Detective Senior Sergeant Dave Glossop of Counties Manukau Police said. When they arrived the teenager was dead in the middle of the road, he said. Witnesses were still trying to administer first aid. Mr Glossop said several knives had been found in the vicinity but the murder weapon had not yet been identified. Police were following strong leads in finding the person responsible, he told One News. The body of the youth, who was a mechanic and a car enthusiast, had been removed from the scene this afternoon and was being formally identified. Police were talking to partygoers about what happened. 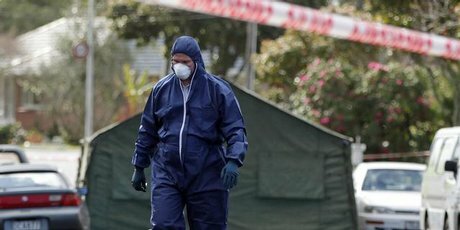 “Police have notified the deceased’s immediate family but were giving them time to advise other family members and need to conduct a formal identification before his name can be released,” Mr Glossop said.